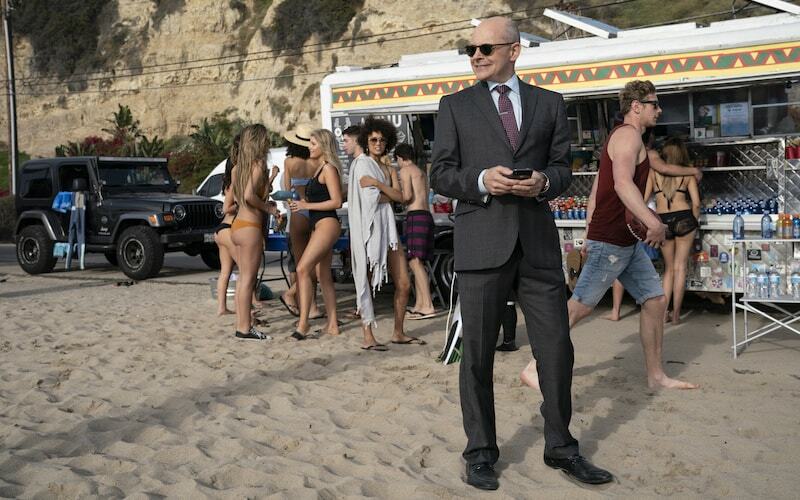 There are two things that come naturally to Rob Corddry: comedy and technology. His comedy chops have been proven time and time again, most famously in Hot Tub Time Machine, Children’s Hospital, and HBO’s Ballers. His love for technology and innovation, however, might be something his fans are less familiar with. It’s a mixed bag for Corddry, whose appreciation for classic cars and listening to vinyl contrasts his love for virtual reality and Apple TV. The world has been in a state of transition, from old tech to new, and Rob Corddry is right in the middle, embracing both sides with open arms – as long as they don’t make him dumber. Starting off our interview with an aptly timed Tesla joke, Corddry went on to explore smart home technology, the future of A.I., and some of his favorite pieces of tech. 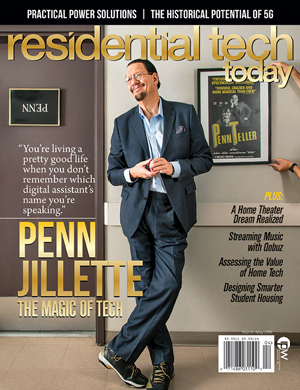 Residential Tech Today: You’ve been on Ballers since day one. How have you seen the show develop from then until now? Rob Corddry: It’s funny, I was just thinking about this the other day. The show has, I guess what you could call, a very loose formula. If I could boil it down, it would be Dwayne Johnson’s character, Spencer, embarking on this very ambitious mission. I’m the guy behind him trying to support him and he messes it up for personal reasons and then it all works out in the end because he’s a good human. This season, however, I was realizing, doesn’t fit that template. Over the years, over the seasons, the writers have flexed their abilities to allow for a lot of change. I think the big challenge in writing a television show is that the next season has to be better. And so, this season as compared to the first one has monumental stakes. A huge weight on the shoulders of not just Dwayne’s character, but mine as well. And it may not all work out in the end. RT Today: Every episode of Ballers features extravagant mansions and fancy cars. What is it like to film on sets like that? RC: Mansions are just not my style. I think even if I had the money, I wouldn’t be a big mansion guy. No one can argue that they aren’t very nice to look at, and they have very comfortable green rooms where we relax between takes, but I think it’s the cars that get me star struck. I’m a big car guy. Every season, our characters have new cars. This year, we were driving … I think it was an early 60s Jaguar. My favorite car that I have driven on the show, because I’ve had four of them now, I would say is probably the BMW i8. I don’t think I could ever pull that off in real life because it’s got that McLaren look to it. It’s a little flashy. But, it was a very fun drive. I immediately make friends with the guy that gets the cars and I won’t shut up. I talk his ear off. I love it. RT Today: As a car enthusiast, what are your thoughts on the growing trend of smart cars? RC: It bums me out. I don’t want to be one of those Luddites because I love technology and innovation, and it seems like the obvious evolution of driving. But I don’t know, driving to me is such freedom. When you’re driving, the act of actually driving, it’s like a semi-conscious thing. You’re doing an action that you’ve done since you were 15 years old. See, you don’t have to really think about it, but a certain part of your mind and body is engaged, so that it sets your mind free to think. I’m at my most creative, I think, when I’m driving. I would definitely miss it. I understand the appeal, and I do think it would probably be a lot safer, but I will always drive. RT Today: What kind of tech do you find yourself using on a daily basis? RC: Of course the phones, first of all. I just switched to Samsung, I’m still trying it out. I have a couple of days left, I’m not sure yet. I’ve been an iPhone guy for awhile, but Apple can go f*** themselves, they’re really losing me. I’ve got an iPad and I just mostly read on that at night. I have a laptop, the latest Apple one, and those are my three main pieces of tech. I do, probably more than anything, use Sonos. That is one of the more perfect pieces of technology I’ve ever had the pleasure to use. It just works. And how many times can you say that about any new technology? 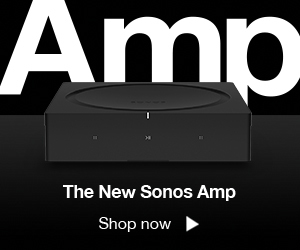 Sonos works all the time. We have surround sound speakers for our TV that are Sonos. You don’t worry about it. Every time my wife tries to print something, I’m like, “Oh God, I’m going to be at the computer troubleshooting for half an hour,” because she’s got one of those, I swear to God, one of those magnetic fields that just interferes with technology. I also have a Lutron smart home lighting system. So far, I’ve got two lights hooked up to it, and I can turn my lights on and off with Alexa. Oh, and Alexa, I guess that would be another omnipresent piece of technology I have. Rob Corddry in the hit show “Children’s Hospital”. RT Today: So, you’re not worried about Alexa listening in on your conversations? RC: Oh ho, no, no. Listen, there are a lot crazier things that we should worry about. That Amazon’s listening to my lame conversations – they’re not, first of all. We all know how that technology works, and we also know that they are not allowed to do it. We just have a distrust for big corporations. The thing that we have to fear is Amazon’s, Google’s, and Facebook’s business models in general. We don’t think of them as – like Facebook and Google – we don’t think of as marketing companies, but they’re exactly that. They know who we are better than we do; that’s the scary part. RT Today: Is there one thing you wished your smart home could do for you? RC: Probably shower me. I hate taking 20 minutes out of my day just for the whole rigmarole. You have to take some clothes off and then you have to put new ones on. And drying yourself off? Forget it. I would like to just lift my arms and walk through some kind of vaporizer. Like have the hallway from my bedroom to the kitchen be a vaporizer. That would be cool. RT Today: For this issue, we’re focusing on television and entertainment systems. As a TV/movie actor, what is your entertainment setup like? RC: I think I’m a pretty solid representative of my demographic in terms of how I consume TV. I have Direct TV, which I love, but I mostly only find myself watching sports on it. Most of the time, if I’m watching TV or movies, it’s my wife and I, we’re just in bed watching Apple TV, which is great. The new version of Apple TV is awesome. If it’s a big movie, like if we’re watching Thor with the kids, we’ll watch it downstairs because it’s a bigger TV and the sound is better. I don’t go to the movies anymore. I’m the reason my business is struggling. RT Today: How about music? RC: See, I like Sonos for when I’m doing stuff around the house and you’ve got anything you want in the background, in any room you want, it’s incredible. But, when I’m actively listening to music, I listen on vinyl. I’ve got a great little setup in my office. I think I realized, this was around 2005 or so when I just started ripping; I got a membership to this site, kind of like a Napster site out of Amsterdam, and I was just ripping music. I had anything I wanted for free, and then I realized I wasn’t listening to it because it was too easy. It was too … I don’t know … there was something about it. I started to appreciate the tactile experience, actually having to get up and turn a record over. It makes you active, and I listened to the music and appreciated it more. So when I’m really listening to music, I’m all analog. RT Today: You mentioned your kids earlier. As a father, do you let your kids use technology or do you try to limit it? What’s your strategy? RC: I looked into a lot of those policing apps … It made me realize, they’re not that good and you shouldn’t count on an app to police your children’s tech life. That’s something that will make you lazy and stupid as a parent. We’re very open and honest with them about the internet in general, that it is a minefield, and there are things out there they don’t want to see. Their laptop itself never leaves the living room. That’s a big rule. They have iPads, but we only crack those open during vacations on the plane. It’s the best. They don’t watch a lot of TV at all. We watch movies on the weekends, but they don’t really watch TV. We starved them of video entertainment as little children so we could throw them an iPad on a plane and they’d be quiet. So they do that. And they’ve got a few little games on there too. But in terms of a cell phone, my oldest daughter is in seventh grade and I got to tell you, I don’t know yet. A lot of her friends have them and we’re getting to the point where it would be more convenient for me if she had one, but I just don’t know. I think, now’s the time, like today, my wife and I really have to sit down and figure it out. So I’ll get back to you on that one. RT Today: There’s no denying the fact, for better or for worse, that technology is growing and becoming more and more a part of our daily lives. In your opinion, are we going in a good direction with technology? RC: I think so. Let’s use AI as the example of the ultimate technology that people are working on right now. And you know, technology has evolved exponentially over the years. It gets faster and faster. I think AI, when that is finally cracked, will proceed at the speed of light, because once we have computers working on these innovations, that will be insanely fast. Now, in terms of quality of life, everyone is afraid of artificial intelligence because all of our movies that portray artificial intelligence do so in a negative light because that’s a good story. You’re not going to get people to go see a movie where a robot is just cool. It doesn’t interfere with you at all in a negative way. It’s fine, everything’s cool. That’s not a compelling story. I believe that AI will be revelatory and it might even completely change our society for the better. RT Today: Maybe one day you’ll play Hollywood’s first chill robot. RC: That would probably be boring. I don’t want to do that. I want to play the robot that takes everything over, destroying the world. But I don’t believe that’s going to be a reality. It’s like Jaws. Nobody went into the ocean after Jaws; suddenly we were all afraid of sharks. RT Today: How do you think AI will most benefit the world? And so if you extrapolate from there, there are going to be a lot of people out of a job. And companies will have the opportunity to be more prosperous, which is good and bad. People will have to do something. And I think that, hopefully, when faced with that kind of situation, it forces people to think. People will have to change their business models. We’ll have to change our mode of thinking about how to be prosperous and what is happiness and what is hard work. And I think that’s a good thing. I think that you’re only going to evolve with challenges like that. It won’t be such a bad challenge. We’ll have robots doing everything else for us, so we’ll have time to think. RT Today: Are you afraid there might be robot actors one day? RC: Well, that would be, I think, impractical. Although you know what? If there’s some humanized AI person that just decides that they want to be an actor, fine, f*** it. Welcome. But we wouldn’t be replaced by them. We’re being replaced by computer cartoons. Which are fun to watch. RT Today: In what other ways have you seen technology change Hollywood behind the scenes? RC: The first couple of movies I did were shot on film. People loved film, the analog experience. But I tell you, those things jam all the time. They only run for 20 minutes, then you have to reload them. Then there’s the whole processing rigmarole. With new cameras today, much to an editor’s chagrin, you can just leave them on, and you don’t even have to cut. The other innovation that I love is LED lights instead of big halogen lamps. They are so easy for the crew to use, they can change the shade and the color and the tint and the white and the warmth and everything with just a dial. And the best part for me is they don’t give off any heat, which is really something. RT Today: You’ve been talking about how you want technology to make the world better and more creative. As an actor/writer, are there specific pieces of technology that have helped you hone your craft? RC: I think acting will probably always be analog, but writing for sure. We wrote Children’s Hospital on Google Docs and it was a revelation. Google Docs is the easiest thing ever, and I don’t know how we would have done it otherwise because it’s a show that a lot of us had to do remotely sometimes. 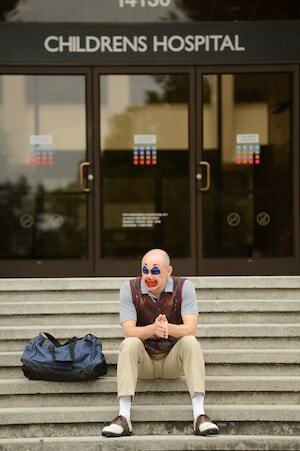 In 2008, Rob Corddry created Children’s Hospital, a dark comedy which takes place in, well, a children’s hospital. For eight years Corddry wrote for and acted on the show and went on to win three Emmys.